Crose Mechanical is a top-rated Owen Sound and Grey Bruce heating and cooling service provider. Household furnaces heat air that is circulated by a blower fan. It draws in air from your room, heats it, and sends it back out to keep you warm. A boiler uses water instead of air. Think of it as a water heater or a kettle where the water is heated and a pump circulates the hot water throughout your house. There are a couple of ways the heat is distributed. Radiators give radiant heat as the hot water runs through them and then the air circulates around the radiators. A new popular way of using water to heat your home is through in-floor heating. Instead of a radiator, in-floor heating has a series of pipes embedded in your concrete floor. Those hot water pipes gradually heat up the mass of the cement or the mass of your flooring. The radiant heat keeps your house nice and warm. To put it succinctly, a furnace warms up the air and a boiler warms up water that then warms up the air. What Are Some Signs That My Boiler May Be In Trouble? If the system pressure, found on a pressure gauge likely on the boiler itself, is not in the range it’s supposed to be. Where is it supposed to be? 12-18 PSI for a typical 1-2 story house. If the gauge reads 30 PSI, call us right away. These are the sure signs that your boiler may need to be seen by a professional. On boiler systems – or any closed loop water systems – there is an apparatus called a pressure relief valve. As the pressure in your water system increases due to thermal expansion, the pressure relief valve is designed as a safety so that the pressure doesn’t get too high and blow off, spewing hot water to relieve the pressure in the system. A common thing is you’ll see that either has blown over your flows, so you’ve water all over the flow by your boiler, or you’ll see it dripping. In either case, call a qualified technician. MythBusters has an episode to illustrate this – you can watch it at the bottom of this post. They have the water heater shooting up through the roof of a cabin. What they’ve done to achieve this is turn on the water heater while plugging up the relief valve. In this instance, there’s no way that the pressure could be relieved to keep the water heater on the ground. So, as the pressure builds up in that particular instance, the bottom exploded and it shot about 100 feet up in the air. You don’t want that to happen, so get your boilers serviced and checked out by a qualified professional who knows what they’re doing. If you call a company, make sure that you see their credentials. Make sure that they have the reputation to take care of your heating unit because you don’t want your boiler shooting up through your roof! 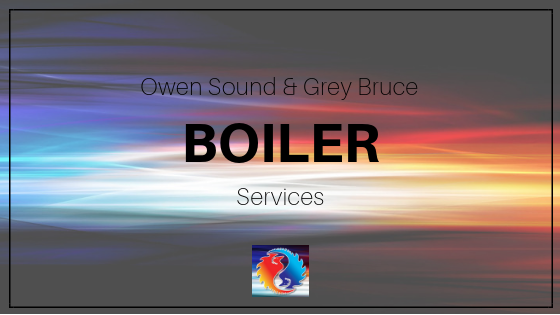 If you are looking for an expert in the areas of Owen Sound or Grey Bruce heating and cooling service, give our team a call today to see how we can best help you.